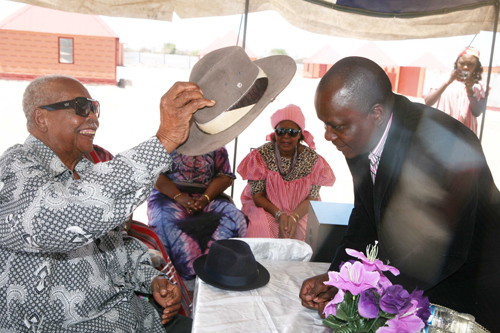 Namibia pays homage to King Immanuel Kauluma Elifas of Ondonga Traditional Authority. 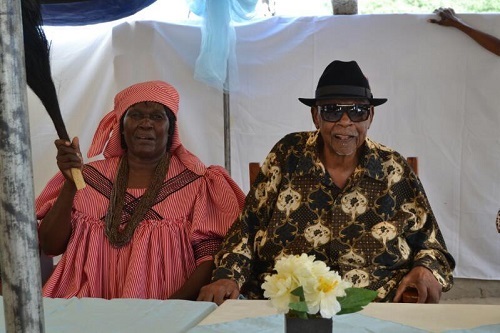 Namibians across all traditional communities in the country have extended their condolences to the family (Ezimo lyakwaniilwa-Naawa yaNdonga) as well as friends of the Ondonga's royal family. Dr Hage Geingob, the President of the Republic of Namibia expressed his sorrowfulness after he learned with sadness the death of the Immanuel Kauluma Elifas, the King of Ondonga Traditional Authority (OTA). “Our nation has lost a key figure, a man of gravity and a great unifier who dedicated his entire life to serving others. Omukwaniilwa Kauluma, a leader I have known for decades, has been a fatherly figure, a friend, a sage, and a man of dignity. He did not only care about those who fell under his Traditional Authority but treated everyone with affection and compassion. I am saddened by the loss. A big tree has fallen. But as he said, don’t’ cry for me, cry for yourselves, make peace with one another in the Ondonga Traditional Authority, and as well all Namibians,” President Geingob said. During this period of national grief, President Geingob extended his sincere sympathies to his wife Mekulu Sesilia Ndapandula Elifas, the children, the Ondonga Traditional Authority and the entire Namibian nation. Funeral arrangements will be communicated accordingly. Kauluma was also the Chairperson of the Council of Traditional Leaders for many years. He will be succeeded his nephew Fillemon Shuumbwa Nangolo. President Hage Geinkob and King Kauluma Elifas! Kauluma passed away at the age of 86 and served for 44 years as the king of Ondonga at Onamungundo, which is still the greatest monarch in modern Namibian history. Like did his predecessors: He enjoyed the third-longest reign among all the Ondonga's kings spanning over 300-years. The longest-serving King Nembungu lyaAmutundu of Ondonga whose reign lasted 70 years – from 1750 to 1820 at (Iinenge). And the second longest serving was king Nangombe yaMvula (1700-1750). For those not know where the geographical location of Ondonga kingdom is situated at the eastern edge of Namutoni-Etosha Pan and lays some 15 km from Ondangwa in northern Namibia. The 17th King of Ondonga Immanuel Kauluma Elifas was born in 1933 and officially enthroned on 28 August 1975 following the sudden death of King Filemon Shuumbwa lyaShindondola who was killed at Onamagongwa Business Complex near Onethindi on 16 August 1975. In that fateful afternoon when King Fillemon has assassinated a group of people, including the senior elders in the royal family, rushed to the old Onamungudo to commence with ritual consecrations as per the Aandonga’s custom done whenever the passed on. The process of nominating Immanuel Kauluma as a successor was announced after consultations were made between the royal family and senior elders on the second day of mourning King Shindondola. In fact, at that time Kauluma did not know that he will be the king, because discussion of succession was done in secrecy even in his absence. According to Aandonga's ancient custom and norms. It was believed that the designated heirs to the royal throne shouldn't know the agenda; this was often done for several security reasons and avoid the customary law being twisted or taken out of proportion. The Ondonga kingdom has been rocked by infighting linked to the succession battle in recent years. When King Kauluma named his nephew Fillemon Shuumbwa Nangolo in 2002 as his successor. He made a confirmation to government again in June 2012. Nangolo’s nomination was, however, disputed by some members in the royal family especially the senior headman (Oomalenga/Oomandengu) that opposed Mekulu Sesilia Ndapandula, a descendant of Ongandjera's royal family and Fillemon Nambili. The squabble led to irreconcilable differences, which saw Elifas getting rid of some of his long-serving top aides, who have been backing Prince Nangolo as heir apparent. 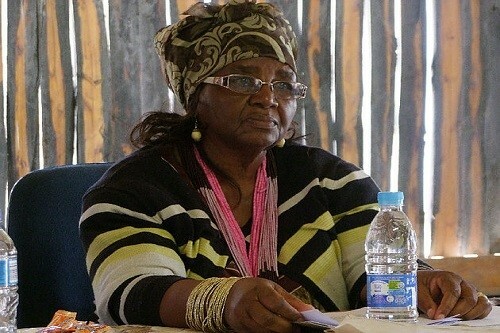 In July 2017, King Kauluma dismissed the Ondonga Traditional Authority (OTA) chairperson late Peter Kauluma and former OTA spokesperson Joseph Asino subsequently. The heavyweights such as senior headmen John Walenga and former Oshikoto governor Vilho Kamanya were also expelled from the traditional authority. Three other councillors - Kashona kaMalulu, Tonata Ngulu and Fillemon Nambili – were also been dismissed. The infighting turned nasty as the dismissed councillors turned to the courts and an order was granted in the Oshakati High Court compelling the King to give oral testimony. At the time, King Kauluma’ legal team argued that the application to have the king testify was an attempt to test his mental capabilities in an open court. This led to several leaders, including the head of state Hage Geingob and former president Sam Nujoma also tried to intervene in the impasse. At one point, Geingob summoned the factions to State House of Namibia and pleaded with the dismissed councillors to drop the court case so that the king would not be “paraded in a court of law and embarrassed in front of his people”. 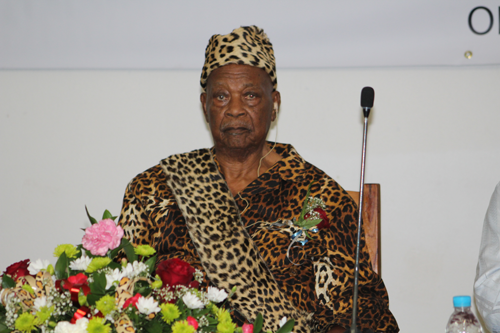 The Ondonga King Immanuel Kauluma Elifas empowered Oscar Sheehama on 18 October 2014, giving him authority to presume a prefix title of ‘Tatekulu’ to signify his position as traditional leader. Secretary of the Ondonga Traditional Council, Tatekulu Josef Simaneka Asino, said the “inauguration was conducted within the perimeter of customary laws defined in the Traditional Authority Act, Act 25 of 2000 and in the spirit of traditional norms and values of the Ondonga Traditional Authority. Sheehama, a retired detective, who served as a Chief Inspector in the Namibian Police. He also a maternal grandchild of King Kauluma Elifas. His installation as village headman just followed the installation of Kuku Hilya Ndilimeke Shilemba, the headman of Oshali village. Culture makes people understand each other better and make it easier to overcome economic and political challenges facing the nation. Kuku Hilya and Shehama are both Kauluma's cousins from the same royal bloodline (Iindalekele yaNdonga), hence their installation to head the two neighbouring villages, which has been the practice since time immemorial. The coronation of Sheehama as headman was anticipated by a public lecture on the legacy of King Nangolo dhAmutenya (1820-1857), with the title ‘Treasure of our community, our culture, our pride’, a special event in honour of King Nangolo dhAmutenya who been affectionately known for his special rituals and rainmaking power. Nangolo dhAmutenya is being perceived as the immortal patron of Ondonga. King Kauluma's legacy is more remarkable than his kingship that went through and attested the time of apartheid-era throughout the 1970s. As we have said earlier that King Kauluma became the successor to his brother, Fillemon Shuumba Elifas, who was killed by an unknown assassin during the brutal war of Namibian liberation. The shot that killed his brother was also the shot that intensified SWAPO guerrillas and resistance operations in the Northern frontier and all over the country. 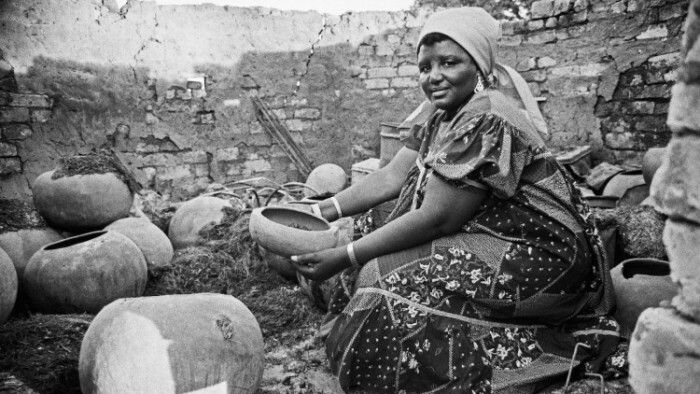 Mekulu Sesilia Ndapandula Elifas, the wife of the king Immanuel Kauluma Elifas of Ondonga shows the remains of her pantry after South African soldiers burned Onamungundo in 1986. In 1886-1904 before King Kauluma, Ondonga was invaded by the swam of Boers from Transvaal who then settled in Ondonga, at a southern part between Tsumeb, Grootfontein and Otavi, about 50,000 hectares of land and it was declared Upingtonia. In 1904 King Nehale Iya Mpingana attack German Schutztruppe who were advancing their settlement program in northern Namibia. Nehale destroyed the German Military Garrison at Namutoni IyOmanenge in Etosha Iya Nuumbwambwa and he acquired a lot of guns, ammunition, wagons and livestock. After the war at Namutoni, Nehale accelerated to settle the Herero refugees in his territory and further appealed to other rulers to provide assistance, e.g. King Negumbo Iya Kandenge of Uukwambi, King Tshanika Tshanashilongo of Ongandjera and King Nande ya Hedimbi (1904-1911) of Oukwanyama. That same year he sent a military contingent from Onajena to Ohamakari in Otjozondjupa region to help Hereros who suffered from atrocities perpetrated by the Germans. All these events created fear amongst the Aandonga communities as the Germans were threating to retaliate and even demanding King Nehale to pay a compensation of 100,000 Reichsmark and return all livestock including a Simmental stud bull. 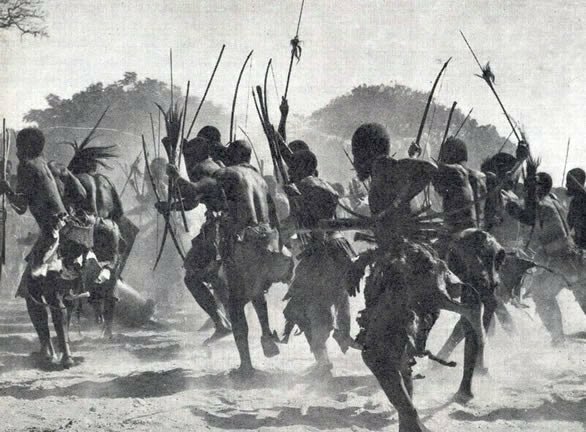 Nehale rejected, and then threatened to attack the German Garrison at Grootfontein, but the Germans were tipped off by the San tribe and deserted the area before Nehale showed up with his warriors. When German lost WWII and allies took over: The South African forces, mainly Koevoets at Batallion 101 carved their strong niche within Ondonga kingdom by transforming Ondangwa town into a permanent military base, the heart of South African Defence Forces (SADF) at the north where major operations continuously orchestrated for harassments and tortures within and outside of the country. Some places like Onayena, Okatope, Omuthiya and etc were part of battlefields during the armed liberation struggle. In 1988 the South African Defence Force destroyed King’s Immanuel Elifa’s homestead at Onamungundo (Olukonda) because he was a strong supporter of SWAPO. Etymologically, the evolution of Ondonga's aristocracy can be traced to early 1650s. The Ondonga royal clan it described as belonging to the Hyena totem (Aakwanekamba), all heirs to kingship are matrilineal descendants contrary to the subject (commoners). The succession of power to become king is usually done through the nomination by a living king together with senior members of the royal family supported by the counsellor-in-chief together with senior headmen. If the King is not available the nomination is done by the senior royal caretaker that supported by the king’s council. Throughout millennia, the nomination of King/Queen in the Ondonga kingdom was done through the coronation and physical contest among the hereditary blood of kingship. From the 1890s onward, the ancient norms severely began to fade in the dilution of European invasion and influence e.g politics and religions (Christianity). The first known Ondonga's king, but not well recorded was Mundonga gwa Nakanyanyo who succeeded by his nephew King Nembulungo IyaNgwedha (1650-1690). King Nembulungo ruled Ondonga for a long time until his ailing that triggered his nephew Shikongo shaNamutenya gwa Nguti (Mumbwenge [1690-1700]) who clandestinely assassinated his ailing uncle. The Ondonga's people never recognised Mumbwenge as a legitimate king they considered him as an intruder from Ombwenge in Kavango region. Although Mumbwenge was a pure Ndonga, but only grew up there after defected to Kavango for fearing his uncle Nembulungo IyaNgwedha, who wanted to kill him. Since Aandonga did not recognise the reign of Mumbwenge, he was overthrown by Nangombe dhaMvula (1700-1750). 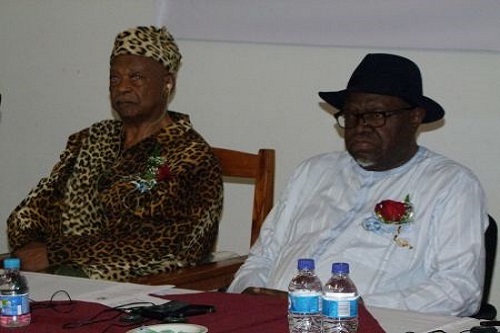 Nangombe brought complete stability in Ondonga after the chaos that was created by Mumbwenge's rule. Nangombe was succeeded by his nephew King Nembungu IyaMutundu who ruled between (1750 -1810). In 1904 King Nehale Iya Mpingana resettled the Hereros and aided them in fighting the Germans by offering them some of his best warriors. In 1917 King Nambala dha Kadhikwa resettled Kwanyama people who fled from Portuguese-British-Mandume war. In 1976 King Immanuel Elifas resettled Angolan refugees escaping from Angolan civil war to Namibia. Nembungu’s administration skills had accosted Chief Nailungu the brother to King Hautolonde ya Uandja (1755-1760) who appealed to Nembungu to give the Aakwanyama a temporary administrator while until an appropriate king was to be appointed. Nehale lyaMpingana hailed from the Ondonga's noble family ( Aakwanekamba ) a royal clan highly respected among the Ovambos in Namibia. Following the death of King Iitana yaNekwiyu in 1884, a power struggle arose within the royal family of Ondonga about the lineage succession, which was perceived as more chaotic than the infighting between King Immanuel Kauluma Elifas and his councillors Read More. In 1942 there were serious issues when King Martin Kadhikwa chose Paulus Elifas, the grandparent of Kauluma, but after his death, his decision was found inappropriate by some senior royal members, as a result, Eino Johannes Namene was installed on power as Ondonga's King. In 1960 King Martin Ashikoto was nominated but after seven years he was illegally dethroned by the colonial government in 1967 and later exported to Khorihas in Damaraland. The colonial government nominated Fillemon Shilongo as a Chief. The action was categorically rejected by Kasita kaNehale the counsellor-in-chief at the time. Then Paulus Elifas (1967-1970) nomination was reconsidered and enthroned as King of Ondonga. King Immanuel Kauluma Elifas inherited the outstanding legacy of his great grand uncles e.g. King Nembungu Iya Mutundu, King Nehale Iya Mpingana and King Nambala Kadhikwa. Late King Kauluma followed those steps of his predecessors whose services were excellent. 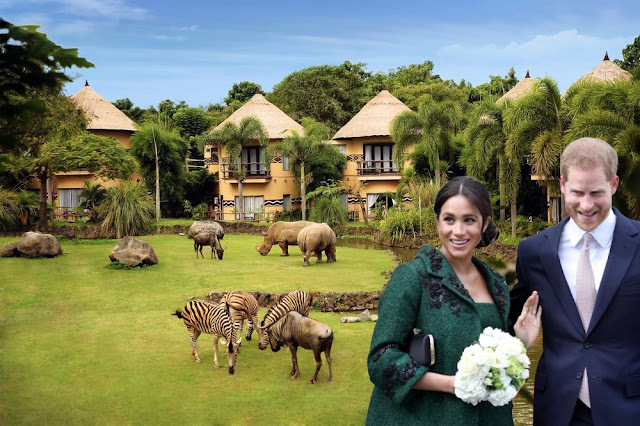 The Aandonga kings have been operating within the ambit of Aandonga's customary law ever since then. This is a list of the kings of the Ondonga's kings, a Namibian subtribe of the Owambo. The kings ruled at designated royal Homestead in a village of their choice with Onamungundo having been a dominant royal seat for many kings.